1. Hot Topic of Discussion – Bipolar Disorder and Asperger’s Syndrome- How Similar Are They? Bipolar Disorder in children and Asperger’s syndrome have very similar symptoms and treatments that doctors often misdiagnose patients who are suffering from one of the conditions. How exactly are these two conditions different and the same? Bipolar disorder is characterized mainly by mood swings with alternating episodes of mania and depression. Signs of depression in bipolar individuals are anger, extreme sadness, or feelings of worthlessness. Meanwhile, manic symptoms include rage, extreme happiness, hyperactivity or obsessive behaviors. Although advancements are still being made to discover the causes of a bipolar disorder, factors dealing with the neurological, biological, emotional and environmental are identified to be probable causes of a bipolar disorder. Asperger’s syndrome, on the other hand, is directly related to a condition known as autism. It largely affects development issues in the areas of communication and social development. Some symptoms of Asperger’s include odd habits, repetitive behavior and communication deficiencies. Further research is still needed to identify the causes of Asperger’s syndrome although studies have proven it to be hereditary. Treatments for Asperger’s syndrome are very similar to bipolar disorder treatments as well. Counseling is chiefly used as a form of treatment for both bipolar disorder and Asperger’s syndrome. Additionally, medications used to treat bipolar disorders are prescribed to individuals affected by Asperger’s syndrome in most cases. People mentioned as having Asperger’s Syndrome may or may not have actually have been diagnosed with it. Ethan Johnson, a fifteen year old boy who has Asperger’s syndrome, has been found after disappearing for six days. After leaving home on March 30 for his Queensland school, Johnson changed out of his uniform and began his 966 kilometer cycling journey down the Australian east coast. For six days, Johnson cycled from Queensland to South Wales alone, eating fast food and sleeping on benches and under bridges. Johnson withheld communication with his parents by switching off is mobile phone. He was reported to be alive when there were signs of bank activity and some sightings. Dan Aykroyd, born July 1 1952, is a Canadian comedian, actor, screenwriter and musician who has appeared in numerous films, TV projects and musical acts including Saturday Night Live (SNL), The Blues Brothers, Coneheads, and Ghostbusters the Movie. He has been nominated for an Academy Award and has won an Emmy for his work in Saturday Night Live as a writer. In SNL, he was known for his impersonations of Bob Dole, Richard Nixon and Jimmy Carter. He also co-founded and co-owns The House of Blues chains and the Hard Rock Café in New York City. Aykroyd was born with heterochromia, his right eye is blue and his left is brown, and syndactyly (webbed toes). In 1960, he was diagnosed with Tourette’s syndrome. Aykroyd also revealed in an interview with Terry Gross that it was also in that same year that he was diagnosed with Asperger’s syndrome. Dan Aykroyd is married to Donna Dixon, an actress and former Miss Virginia. Together, they have three children. The person mentioned above may or may not have Asperger’s Syndrome. I hope this month’s newsletter has intrigued you and provided information new to you. The next edition of the newsletter is due in June 2009. And as ever … please send in any inspirational stories that you know of, any questions that you would like our team of experts to answer, any topics that you wish to be discussed, and news stories that you want to share VIA THE BLOG. Can you give actual examples of behavior that demonstrate aspects of the “Triad of Impairment” in terms parents that parents can relate to. Terms used in diagnostic criteria such as ‘lack of appreciation of social cues’ could be illustrated by a very wide range of examples of real-life behavior, with which parents could identify. How can I make his school more cooperative in working with me? My adult son is doing wonderful at college managing his courses and his job. This past year he has even been developing new friendships. However, he is not managing his finances well. For a while he only had to pay for his car payment and insurance. Now, he has also accumulated some credit cards and short-term loans. While he lives away at school, his mail and bills come here–so I’ve been checking his mail. He has not been paying his bills on time–I’ve had to make some payments for him. He knows that I am holding him accountable to reimburse me. How can I help him develop an organized budget system, while at the same time not offending him and turning him away from us? It’s been difficult to get him to answer our phone calls and emails, and maintain that delicate balance of discussing these problems while maintaining our nice parent/son relationship. I’d appreciate any advice or resources for this. Congratulations on raising a well-adjusted, successful adult. Leaving home, managing college courses, a job and developing new friends are all huge accomplishments for a person with Asperger’s Syndrome. These types of life changes can be overwhelming for any young adult. Going away to college creates feelings of newfound independence. It is normal for your son to pull away a bit as he finds his own way. Balancing this independence with the need for parental guidance may be difficult for all of you. Assure your son that it is still your job to support him through life, no matter how old he is. While you are willing to help in any way, you will expect him to take full control of his financial situation, just as he has taken control of the other areas of his life. Paying his late bills for him will keep his credit report in good shape, but he will not learn to manage his money this way. One way you can help from a distance is to find a good computer bookkeeping program. These programs make budgeting and bill paying quick and easy. Use the program yourself and recommend it to him. This will help the encounter seem more equal-a genuine product review rather than a parent-to-child demand. Encourage him to share this new information with any friends who may be struggling with their finances. This is a common problem for college kids everywhere. Sometimes the freedom is just overwhelming. Once he has come up with a solution for his financial struggles, make sure he budgets for the money he owes on those late bills you paid. Live and learn, right? There are many things to learn at college other than that major being pursued. This time of life can be stressful for the student and the family. It is difficult to make life changes and they seldom go perfectly. The book “Succeeding in College with Asperger Syndrome: A Student Guide” by John Harpur, Maria Lawlor and Michael Fitzgerald will be a helpful guide that your son can refer to as often as necessary. How can I help my son to better manage his frustrations? Children with Asperger’s are easily frustrated. For the, living in the world can be confusing and they need to have someone there to translate and explain every day events to them. One of the best things you can do with your child with Asperger’s is to help him learn to identify his feelings and emotions, and then teach him how to cope with those same feelings. The program is designed to keep the interest of the children while encouraging the cognitive control of emotions. The program was designed as an anger management program for children with Asperger’s, so the needs of children with Asperger’s are addressed in the program. The program is designed to help children identify feelings and emotions and then discusses appropriate responses to those feelings and emotions. The program does not have to be implemented by someone with a background in cognitive behaviour therapy. A teacher or a parent could use this program effectively. Remember that your child with Asperger’s is also a child, not simply a child with Asperger’s. All children get frustrated and all children need to learn to manage those frustrations. All parents deal with teaching their children appropriate ways to behave and appropriate ways to deal with anger and frustration. For a child with Asperger’s, the challenge is to communicate effectively and to try not to get frustrated yourself. If your child is a teenager, remember that all teenagers struggle with testing limits, learning to make their own decisions, and learning to function independently. All teenagers struggle with making and keeping friends, with finding success at school, and even with the development of romantic relationships. Your child may be more or less frustrated than a neuro-typical child, but he may not have the skills to handle those frustrations. Set appropriate limits while trying to give your child some leeway to function independently. That is a difficult task for any parent. Allow your child the ability to express his frustrations in appropriate ways and ensure that he understands what is appropriate. As a parent, you can model and teach appropriate ways of coping. Often, a program such as Tony Attwood’s can help ensure that you find an effective way to communicate these skills to your child. That’s all for this week … and have a great week. I need help with melt downs and managing anxiety. I would like to have help in getting my son to complete daily tasks like cleaning his room, brushing his teeth. My daughter won’t take care of self care issues or wear a bra. She is now a teenager. What should I do? Can you tell me about Asperger’s and depression? Children with Asperger’s have difficulty verbalizing their feelings and thoughts. This can be misinterpreted by some and can lead to the assumption that because these thoughts and feelings aren’t verbalized, that they don’t exist. Often, the opposite is true. Many children with Asperger’s have an overwhelming number of thoughts and feelings that go unexpressed. This inability to express feelings can lead to depression. Children with Asperger’s often find school a challenging environment. Difficulty with social interaction can lead to a child feeling isolated and friendless, especially during the tumultuous teenage years. Those feelings of isolation and confusion can lead to depression. This can be compounded by an inability to express the feelings of depression to anyone. outlines some clear cut and creative strategies for helping your child’s teachers and counsellors deal with depression. By utilizing some of Mr. Merrell’s intervention methods and strategies, school personnel can work with you and your child to help recognize signs of depression and to help your child overcome it. Since depression in children with Asperger’s is often linked to feelings of isolation and frustration with not being able to express himself, it’s important for parents to understand that while children with Asperger’s don’t necessarily express their feeling, that doesn’t mean that they don’t have them. Talk with your child about how he might be feeling about his social relationships with others. Try to give him the words to use, such as mad, sad, frustrated and angry. By giving him those words and trying to help him differentiate those words and identify those feelings, you can help him develop his voice while expressing his emotions. You may not be able to make his social relationships smoother for him, but you can try to get him to understand that his feelings surrounding those relationships are valid. Talking to your child with Asperger’s about emotions can be a frustrating experience for you, but the benefits will hopefully outweigh the frustrations you are dealing with. It’s also helpful for you to understand the warning signs of depression. Watch for behavioral changes that might indicate depression in your child. Is he more easily frustrated? Is he giving up on his social relationships? Has he lost interest in things that typically gave him pleasure? Does he have difficulty sleeping? Has he gained or lost a significant amount of weight? If you notice unusual changes, speak with your child’s doctor about the possibility of depression and possible treatments. Today is Mother’s day in the USA and Matthew Readman has asked me to publish this poem dedicated to his mom and all other moms of children with Aspergers. Because you are my world and you get me through the gray. I’m sure you’ll find this a very thoughtful and moving poem, and a fitting tribute for all moms out there. Hi there – Just a quick blog post to inform you of a great free Aspergers resource that a kind member of The Parenting Aspergers Community informed me of. How do I help my 12 year old son to come to terms with his diagnosis and help him understand that it is not the end of the world? Asperger’s Syndrome is a form of autism; those who have it experience various symptoms, exhibiting a range of behaviors. People with Aspergers have a different way of thinking, concentrating on special interests. Many people with Aspergers can speak eloquently and have extraordinary abilities in engineering, computer science, and systematic thinking, yet have serious difficulties with social interaction and functioning in the world. However, Asperger’s is not the end of world; it is treatable. It is very normal for your son (and you) to react with sadness, self pity, anger, or depression when you receive the diagnosis. You are mourning the life you thought you were going to have. But that does not mean that you won’t have a good life; it will just be different. If your son is willing, discuss with him his diagnosis and your plans to help him. Reassure him that he will do fine. If he cannot get over his sadness and anger, get him into counselling. Once properly diagnosed, reassured, and treated, he will feel much happier and more optimistic. Start now to educate yourself and your son. There are tons of books available for adults, children, and teens that explain Asperger’s and provide information and help. Read a book and discuss it together. Then, get online and start researching Asperger’s symptoms and treatments. There is a wealth of information on this site! Become involved in the forum on this site. Also find a support group in your area. Other parents will provide moral support and comfort. Your son may enjoy talking with other children with Aspergers online. Be sure to monitor the sites he visits to make sure they are appropriate for him. I want your son to know that having Asperger’s is not the end of the world. It creates difficulties in the social sphere, yes. But special interests can lead to career skills, and, in some cases, to career success. Good social skills can be learned over time. With reinforcement and guidance from loving people; progress is possible. With knowledge and support from parents, teachers, mentors, medical professionals, and peers, the inner strengths of these special people shine, adding uniqueness to our world. How do you teach social behavior in a humorous manner? 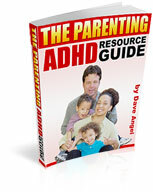 How do I understand the difference between an Asperger’s related behaviour and a true ADHD one? My son’s school can’t tell the difference, and my son’s doctors tell us that he doesn’t have ADHD; his poor attention is just his Asperger’s and medication will not help! Where can I get easy-to-understand explanations about medications?